Wilimovsky, Norman J.. "Scorpionfish". The Canadian Encyclopedia, 31 July 2018, Historica Canada. https://www.thecanadianencyclopedia.ca/en/article/scorpionfish. Accessed 22 April 2019. Scorpionfish, or rockfish (Scorpaenidae), family of bottom-dwelling, marine fishes with large heads, mouths and eyes, stout bodies and large pectoral fins. Scorpionfish, or rockfish (Scorpaenidae), family of bottom-dwelling, marine fishes with large heads, mouths and eyes, stout bodies and large pectoral fins. The family has been divided into several subgroups, based on various criteria. Over 380 species are distributed worldwide in temperate and tropical waters. The greatest variety of forms is found in the Indo-Australian region, where several bizarrely shaped, deceptively coloured and often venomous species exist. The highly venomous lionfish and turkeyfish can inflict painful injuries. 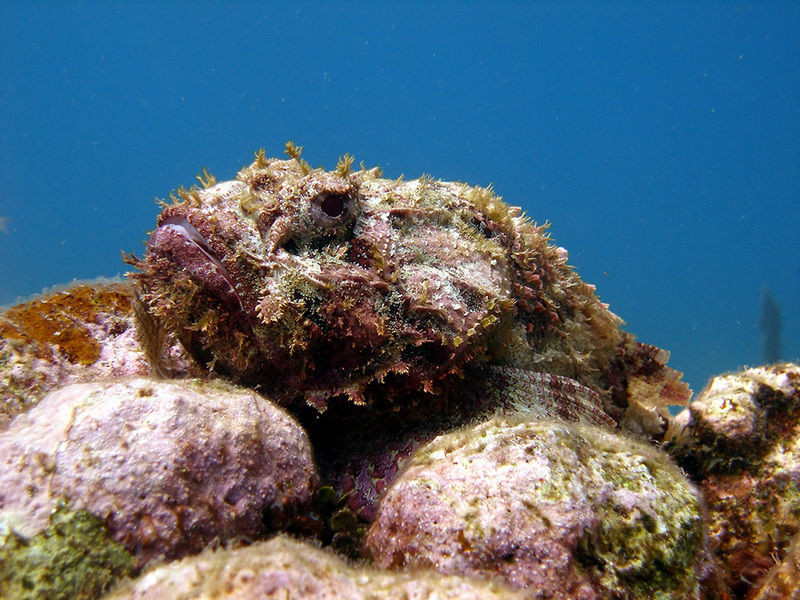 Like sculpins, scorpionfish belong to the "mail-cheeked fishes," characterized by a bony stay or splint extending from the eye to the cheekbone. 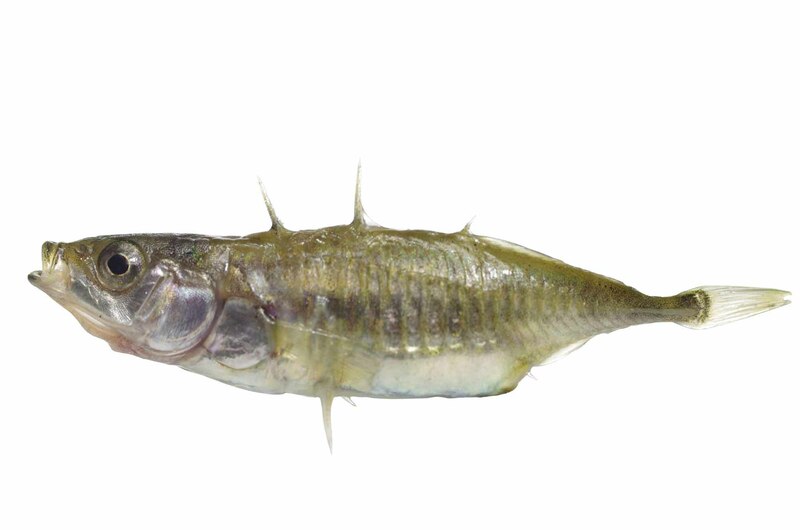 The head and fins exhibit many spines, and the body frequently has cirri and skin flaps, thought to help in camouflage. They range in size from about 15 cm in dwarf forms to almost 100 cm in some Alaskan representatives. Many forms have internal fertilization and bear live young, but a few egg-laying species are known. Depending upon the species, young are born from winter to late spring. Young rockfish drift with and feed upon plankton. After several weeks they settle, becoming bottom dwellers. The mechanism triggering settling is unknown. Many young rockfish are differently coloured from adults of the same species. Recent analyses indicate that rockfish are among the longest-living marine fishes, frequently surviving for 80-90 years. In Canadian waters, the family is represented by 36 forms on the Pacific coast; 6 on the Atlantic and E Arctic. Many are important commercial food fishes, eg, Pacific ocean perch and rockfish, and Atlantic redfish - all members of genus SebastesScorpionfishes occur from subtidal waters to depths of over 500 m. Some live close inshore, among rocks and kelp, in small groups or associations. Others, including the commercially important species, live in massive schools in offshore waters at mid-depths. 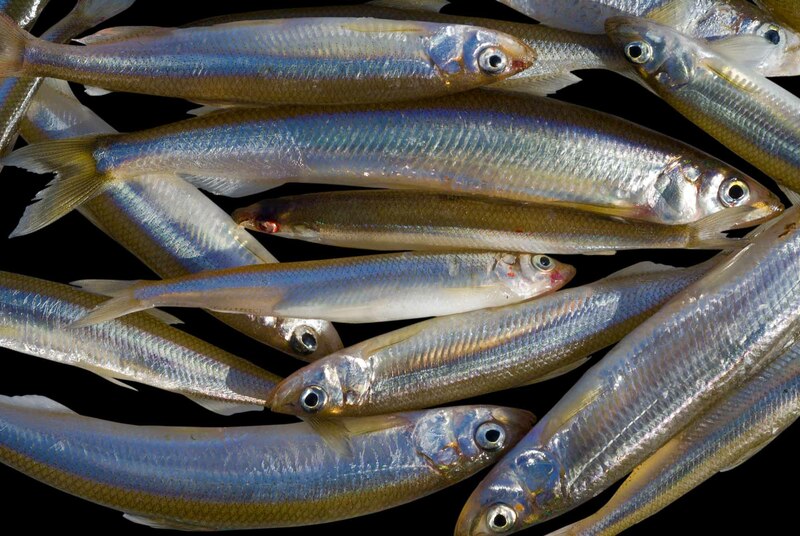 Offshore populations undergo diurnal and seasonal movements. They are generally fished by trawl, and are competed for by several nations on both Canadian coasts.